Great for organizing everything you need for each of your projects, including those Westalee rulers!! A zippered closure keeps everything safe and secure and a see-through vinyl window allows you to see what's inside at a glance! 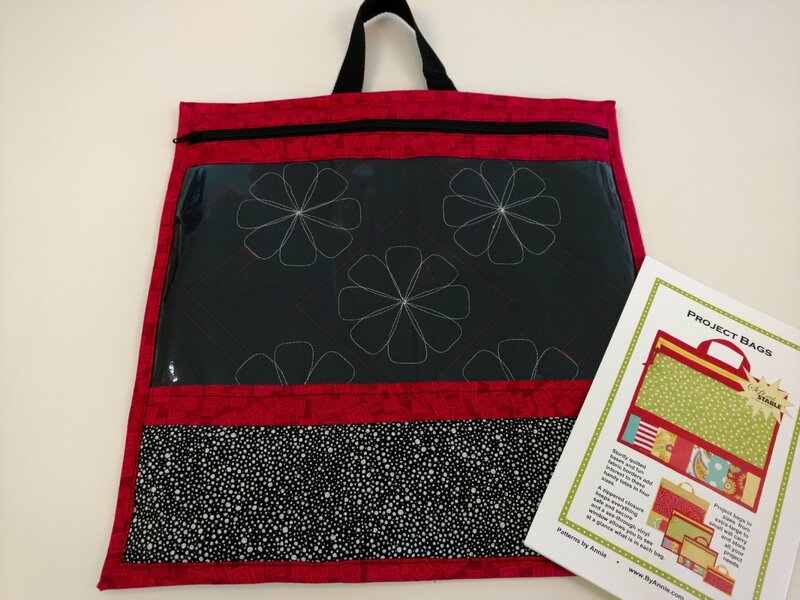 This class will walk you through making the LARGE Project Bag! 1) Please cut out all fabrics, foam, and vinyl according to pattern instructions for LARGE bag. 2) Please baste (pin or spray) main/foam/lining sandwich together. *Want to make your bag look like mine? I used the same fabric for the "base of project bag" and "lining for base of project bag". Instead of making the bottom accent of the bag scrappy ("assorted coordinating fabrics"), I used one fabric as accent, cut 3-3/4" x 13-1/2". 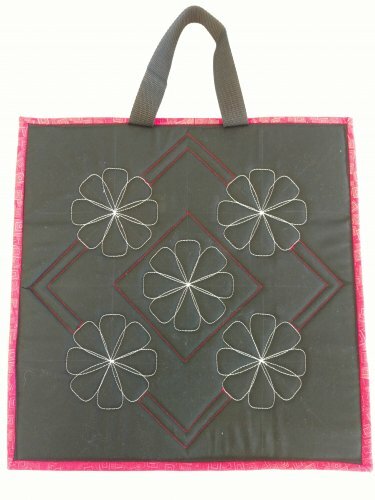 **Pre-requisites: Westalee Ruler Quilting 101 class** Please give us a call to register. Requirements: **Prerequisites: Westalee Ruler Quilting 101** Cancellation Policy Thank you for signing up for a class at Not Your Mama’s Quilt Store. Due to the high number of late-notice cancellations, our cancellation policy has been updated: In the case that you are unable to attend the class, you must cancel at least 5 days prior to class date for a FULL refund. If you cancel 3-5 days prior to class, there is a 50% forfeiture fee deducted from your class fee. You may choose to transfer to another class if available, with a $20 transfer fee plus additional registration fee if applicable. If you cancel less than 3 days prior to class, your class fee is 100% forfeited. Transfer to another class is not available with less than a 3 day cancellation.